That’s Ruby on the left. Mary Oliver loved dogs, and this post needed a photo. 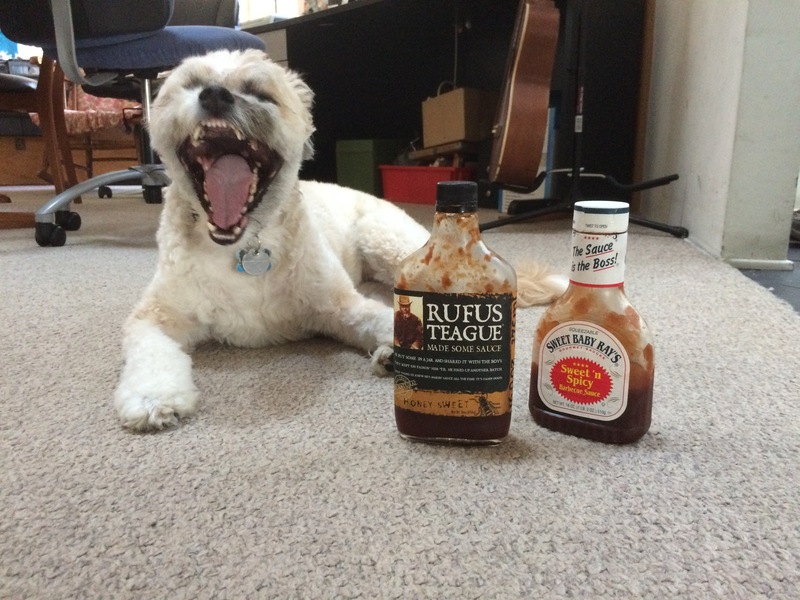 I have no how Oliver felt about barbecue sauce. The poet Mary Oliver died on Thursday. I almost hate to admit how much I like her work—not because she isn’t all morose and difficult like poets are supposed to be, but because some people (well, one person in particular) misappropriate and befoul her words.